A couple weeks ago, I was really craving some good ole Italian pasta. We were set to eat in Potrero Hill, but later decided to eat in Noe Valley due to the insane traffic on 280. Needless to say, it was an excellent choice. It was my first time having Sardinian food, but I’m intrigued to try more. Sardinia definitely differentiates itself from Italy with their use of fresh seafood in their dishes. 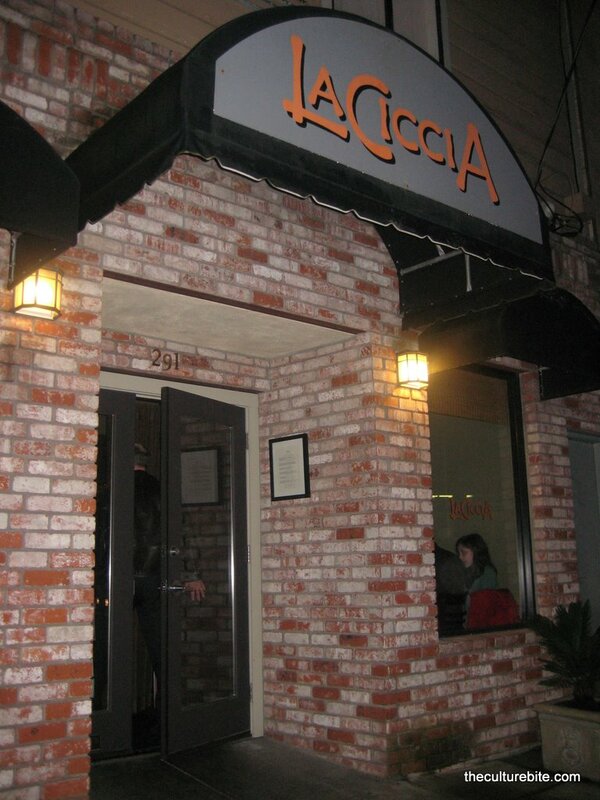 La Ciccia is a cute little Sardinian restaurant filled with loud conversations and an impressive selection of wine. They have a limited menu filled with pastas, pizzas, and seafood; but, it’s one of those places that makes a set amount of dishes and makes them well. Service is outstanding. When we received our bread (although cold) prior to our meal, we asked a busboy if there was olive oil or butter to go with it. He kindly informed us that Sardinians do not use butter in their dishes and that if we want olive oil, it’ll cost us $2. We were shocked they’d charge anything for oil, so we declined the offer. Just a few moments later, the owner of the restaurant stopped by and gave us a little dish of oil for free. I was craving pasta, but everything on the menu was a little out of my comfort zone. They had pasta with unusual ingredients such as bottarga (cured fish roe) and squid ink. The waiter urged that I’d try the fresh spaghetti with spicy oil and bottarga and I did. It was incredibly delicious, especially with the homemade pasta. Fresh spaghetti with spicy oil and bottarga – I couldn’t believe I ordered a dish with cured fish roe and liked it! The flavor combination in this dish was amazing. The salty ocean-ness from the bottarga combined with the spiciness of the chili flakes. Put that together with the fresh, al dente spaghetti, and you have a home run. Fresh rigatoni with lamb ragu – If I didn’t get the bottarga spaghetti, I would’ve ordered this dish. K ordered it and literally could not put the fork down. The sauce was rich in tomato and lamb flavor. Fregula with seafood and squid ink sauce – It was my first time ever having squid ink. I was surprised the ink itself really had no flavor. The dish was no doubt, unique though. Ricotta and saffron cake served with honey and almonds – The cake, similar to a sponge cake, was extremely light and crumbly. It’s the perfect dessert if you’re completely stuffed from your main dish. Selection of 3 ice creams (fig and goat cheese, olive oil, and cherry and marsala) – By far, the most interesting flavors of ice cream I’ve ever had. All very unique and light in flavor, nothing overbearing. I couldn’t get enough of the fig and goat cheese as well as the olive oil ice creams.